Great Britain's Susie Cheetham (née Hignett) has been quiety building an inpressive palmarés over the 70.3 distance in recent years. 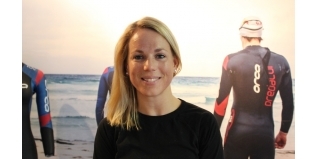 We last spoke to her at Ironman 70.3 Luxembourg last year, shortly after she had finished second. She then went on to win Ironman 70.3 Norway, before finishing 12th at the Ironman 70.3 World Championships in Mont Tremblant. That wasn't the end of her year however, as a debut Ironman produced a swift 9:03:32 finish for third place at Ironman Barcelona - making her the ninth fastest British female athlete over the distance. With a second place already secured this season at Ironman 70.3 South Africa - and a return trip for the full distance race in Port Elizabeth on the schedule - it was a good time to chat to Susie again which we did on Saturday while at the 220 Triathlon Show. For more information about Susie, visit www.susiecheetham.com for follow her on Twitter via @susiehignett.